From Lachlan: The original review below was written by Julian. Since then I’ve also had the chance to test out the Amazing Arc’teryx Theta AR. In February 2016 I spent 3 weeks on South Island of NZ for some alpine climbing & hiking. An Arc’teryx Theta AR, in the lovely shade of Blue Smoke this time, joined me for those adventures. It did a stellar job, taking care of wild weather protection duties. The first half of the trip was spent doing some alpine climbing, in both the Aoraki/Mount Cook & Mount Aspiring National Parks. The weather was fortunately very clear for the majority of these climbs. 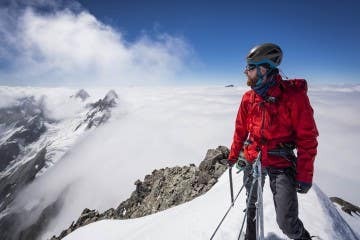 That said, on high alpine excursions there is always need for a solid shell jacket, even if it’s just to keep the cold wind from chilling you to the bone. On Mount Brewster for example, I donned the Theta when we arrived at the summit. The clouds had enshrouded the peak & the temps dropped. The next 3 hours were spend rappelling & down-climbing through cold wet conditions, with wet ice & snow dripping, falling & blowing on us. 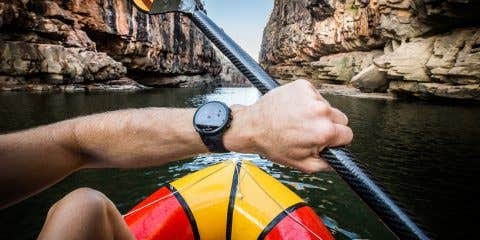 The Theta was perfectly suited to the task, I was surprised that for a such solidly built shell it really does breath & move well. I forgot it was there & just focused on the job at hand, getting down safely (and before dark!). After my climbing partners departed back to Aus, I still had 10 days to explore the mountains. After a couple or rest days in Wanaka, my chosen destination for 7 days of hiking was the West Matukituki & Ree’s Valleys. Both of these are within Mount Aspiring National Park, but further south than I’d been previously. After our previous luck with fine weather, it seemed only just that the skies would darken & the heavens opened. In fact five days straight of torrential rain began the day I departed the Raspberry Flat trail-head & wandered into the hills. The Theta AR was deployed instantly & It rarely came off for the following five days, apart from when I reached the safety of the huts. 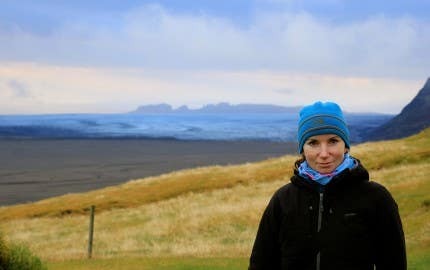 This type of weather is the perfect test for any waterproof breathable jacket, especially initially down at lower altitudes, where the temperatures were cool, but not cold. I was generating plenty of heat under the Theta, but it kept me dry inside, allowing my perspiration to vent through the Gore-tex Pro Shell fabric. Having the option to vent with the pit-zips made a big difference here, allowing me to regulate my temperature much easier, instead of having to stop to take the jacket on & off multiple times. 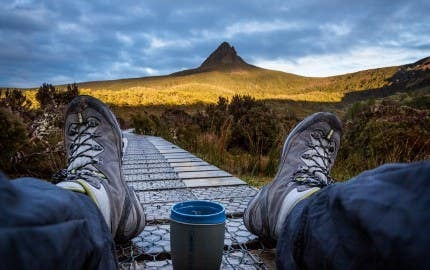 On day three, I decided to throw caution into the wind & cross the Cascade Saddle route, accompanied by two other Aussie lad’s I’d met the day before at Aspiring Hut. It was raining (pouring!) when we left the hut, & it was still raining when we arrived at Dart Hut 10 long difficult hours later… In that time the precipitation had gone from cold rain, to sleet, to snow, back to sleet & finally back to rain again. We also battled across swollen rivers, were thrown around by gale strength winds & even took shelter in a tiny toilet cubicle at one point. A memorable day! Needless to say, the Theta AR loved every moment and likewise I was loving wearing it. Where lesser jackets would have succumbed, it kept performing, keeping me dry & warm. Well it did so, right until that scary chest deep river crossing anyway… The rain continued for a couple days after crossing Cascade Saddle & I wore the Theta on several more side excursions out of Dart Hut, each time again for hours at time in the rain. L: Looking down upon the West Matukituki River. R: Standing just above Cascade Saddle, about 4 hours into a very wet 10-hour day. The cut is long, but not bulky, which I really like. It’s also amazing how well thought out the design is. The drop hood is great and the dual waist & hem cinch adjustments mean that the shell id not left not flapping around when worn just over a light base-layer. 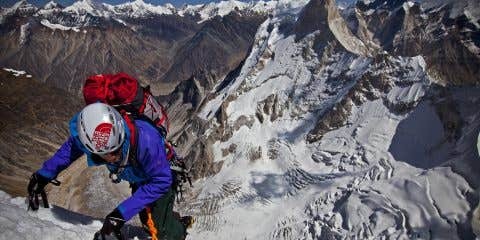 A well designed hood is essential in the mountains. The Theta has a great helmet compatible hood, with a laminated stiffened visor. There is plenty of adjustment, allowing you to cinch it down for maximum protection when not wearing a helmet too. The overall sizing of the Theta AR is quite generous, I went for a medium, but will often fit a large in other shell jackets. It really goes without saying, but the attention to detail when constructing this shell is second to none. For those who are looking for a top quality hard-shell, suited for those extended & rigorous adventures – from cold weather travel & trekking, to back-country skiing and alpine climbing – Look no further. If well cared for, this is a jacket that is going to last for many years of faithful service. L: Passing the Pylon, the temps were sub-zero & that white stuff is cold wet sideways snow R: Exporing raging waterfalls at Shovel Flat. 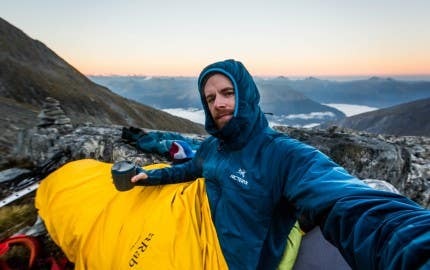 Considering which jacket to take on a tramping and mountaineering trip to new Zealand was a process which caused reflection on some arduous past experiences. 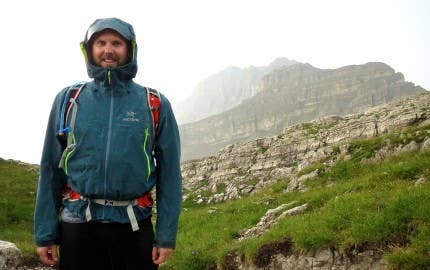 A solo 10 day foray into Turkeys unpredictable Kackar mountains with a porous jacket borrowed from some kind locals was somewhat dampened whenever it rained (which it did, daily). Multi-day hikes in remote northern areas of China’s Yunnan province during winter were effected by chilling Himalayan winds which cut through a different jacket I was sporting at the time. 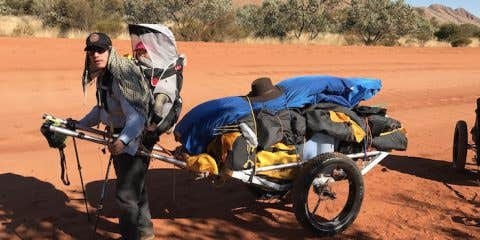 With New Zealand’s well earnt reputation for volatile weather conditions, I was determined to make sure that I embarked on this journey with a jacket which would protect me from the elements. After months of research into jackets helped by the divergent procrastination particular to university students my choice was made, the Arc’teryx Theta AR Gore-Tex Jacket was the bomber jacket I was after. So what was it in my extensive research which made the Theta AR a clear choice? The list of features on this jacket is impressive (check out The Arcteryx Website for comprehensive list). Some highlights include: WaterTight™ zips and MicroSeam allowance plus reinforced denier only where it’s need all save on bulk, articulated patterning in all the right places with enough room for layers yet still an athletic fit, and importantly, the Gore-Tex Pro Shell fabric. Gore-Tex Pro is a 3-layer laminate that is used in the higher end jackets of the best leading outdoor gear brands. Designed for sustained use in severe environments and for those that abuse their jackets. It is made up of multiple layers of ePTFE bonded to the face fabric – ( usually a high abrasion resistant denier fabric ) and a gridded backing textile. This latest version of this fabric (as used in the Theta AR) has no oleo-phobic PU layer and is over 25% more breathable than the previous Pro Shell fabric. Jackets made from this fabric are ultimately very durable and reliable in the most severe conditions. 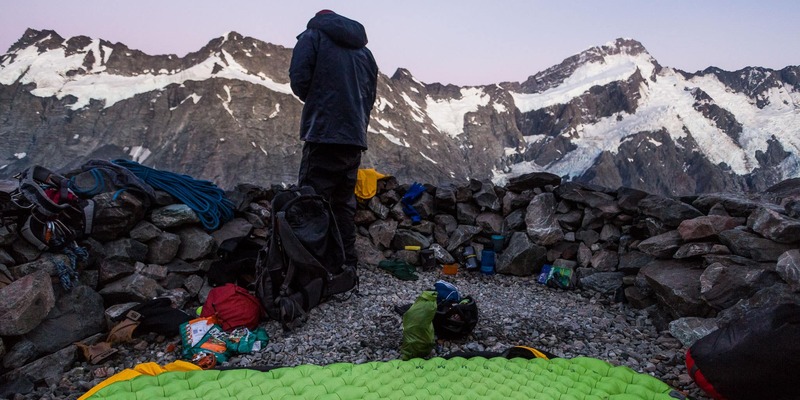 It’s also worth noting that Arc’teryx actually developed Pro Shell in association with Gore-Tex, & that they are the only manufacturer with a Gore-Tex manufacturing plant apart from Gore-Tex themselves. When talking with customers at the Paddy Pallin store in Fortitude Valley there is almost always a tension between the function and fashion of a jacket. The ideal jacket for most is a balance between these two which doesn’t compromise on either. A difficult job for any design team but one which Arc’teryx is well positioned to deliver on. While this full featured jacket certainly doesn’t compromise on function it also looks good too. The clean cuts and lines leaving anything superfluous out whilst keeping all the necessary articulation for a full range of body movement without restriction. The slightly longer length would mean not having to worry about the hem riding up above my packs hip belt while also offering a bit more protection below it when the weather turned foul. As expected the New Zealand weather offered plenty of opportunities to test the specs on the Theta AR. During 8 days of mountaineering at the top of Fox and Franz joseph glaciers the jacket rarely left my back when I was out of the hut. Cold Arctic winds on alpine starts thankfully didn’t penetrate the jacket, yet the Goretex Pro’s breath-ability meant that traversing glaring glaciers during the middle of the day was fine, especially with the pit zips opened up. While a week later white-out drizzly weather high on the Annette Plateau didn’t come close to testing the full rain-proof potential of the Gore-Tex Pro, so I made sure to take it for some walks in some summer downpours when I returned back to sub tropical South-East Queensland. Not a drop got through! Not that this jackets ideal use is limited to extreme conditions. 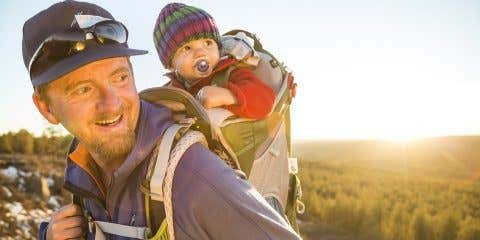 At a weight of 485 grams this jacket packs down discreetly into a pack, allowing the safety of a competent hard shell without carrying the bulk. 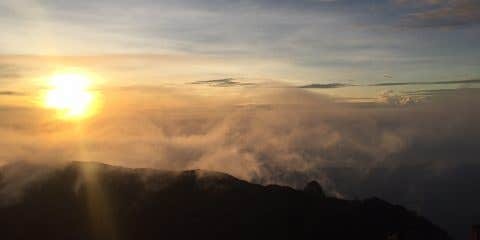 I’m currently planning a trip to Indonesia at the end of the year to continue a journey climbing some of the volcanic mountains that rise to excess of 3000m almost straight out of the ocean and the Theta AR is definitely going to be in my pack (If you after information on hiking these stunning behemoths http://www.gunungbagging.com/ is a great resource). This jacket is ideal for anyone who wants a quality jacket that will protect them from the elements in any situation. The price point might be cause for deliberation for some, but you can be sure you know what your getting. 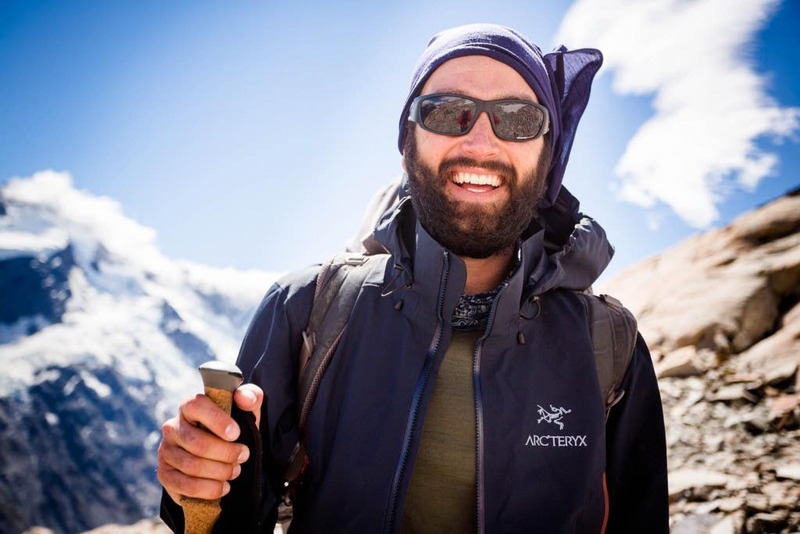 This is a fully functional jacket that has been carefully conceived and designed (Arc’teryx are well known for their close collaboration between their design and research team and pro athletes testing the gear). And while it delivers functionally it also manages to look good too. After various adventures with dubious jackets, I’m glad I’ve now found one that I can feel confident with in any adventure. 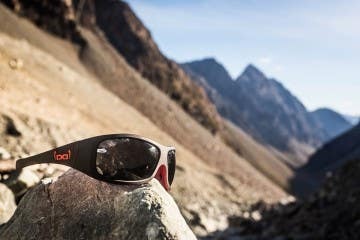 WIN $1000 of Arc’teryx Gear from Paddy Pallin!! 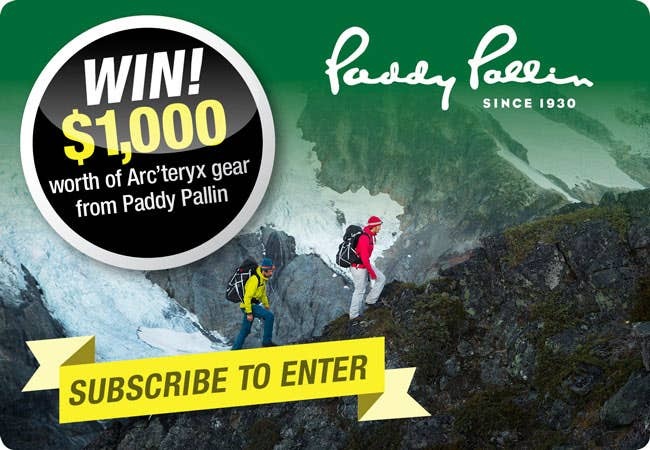 Click the image below & enter to win $1000 of Arc’teryx Gear from Paddy Pallin!!! !